Start planning your trip to Chile here! This page is your departure runway to start planning a trip to Chile. Chile is located in the southwest corner of South America, squeezed between the Andes and the Pacific Ocean. The country is only 240 km across at its widest point, but being more than 4.200 km long, it is highly recommendable to read and prepare to have an idea where to go to and when. Many people also combine Chile with a visit to Argentina. We’ll help you to plan your visit to Chile and where to cross the border to Argentina. Chile and its amazing ferry rides! Chile has an impressive range of geography and climate. In the extreme north you will find the most arid desert in the world, whereas towards the centre the environment changes completely into fertile lands, beautiful beaches and stunning mountains with excellent skiing. 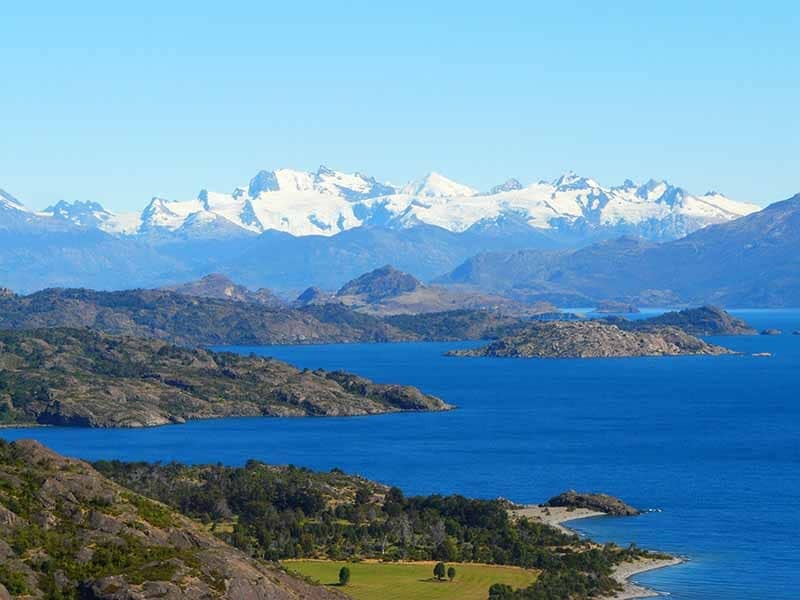 The south is the area of lakes, forests and volcanoes, leading to the ancient glaciers of Patagonia and Antarctica. Now read and find out how to plan a trip to Chile. These are Chile’s top tourist destinations and 95% of the travellers will have them in capital letters on their travel itinerary! Santiago: Welcome to Chile’s capital with its diverse neighborhoods, museums & cultural events, its lively markets, superb nightlife, its city hills & viewpoints and the nearby high Andes Mountains. San Pedro de Atacama: This little magical village in the north of Chile is your base for an endless list of activities and excursions to explore the driest desert in the world! Prepare yourself to be dazzled by the most incredible landscapes! 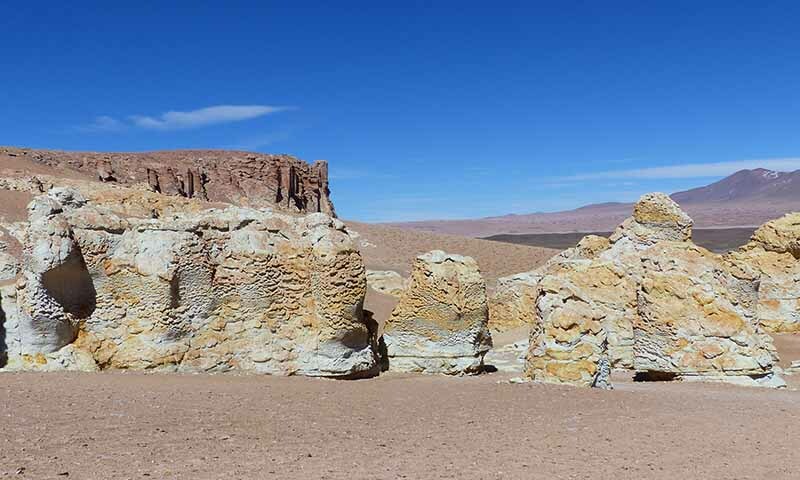 San Pedro de Atacama, in the north of Chile, offers an incredible range of breathtaking landscapes. Pucón: Lakes, rivers & waterfalls, volcanoes, national parks, hot springs, snow skiing … Pucón is with reason Chile’s adventure capital! And no long distances here, almost everything is done at short distance from the village! Torres del Paine: The 8th natural wonder of the world doesn’t need an introduction. It’s one of the most gorgeous places on the planet. For many people it’s the only reason to head to the far south of Patagonia! 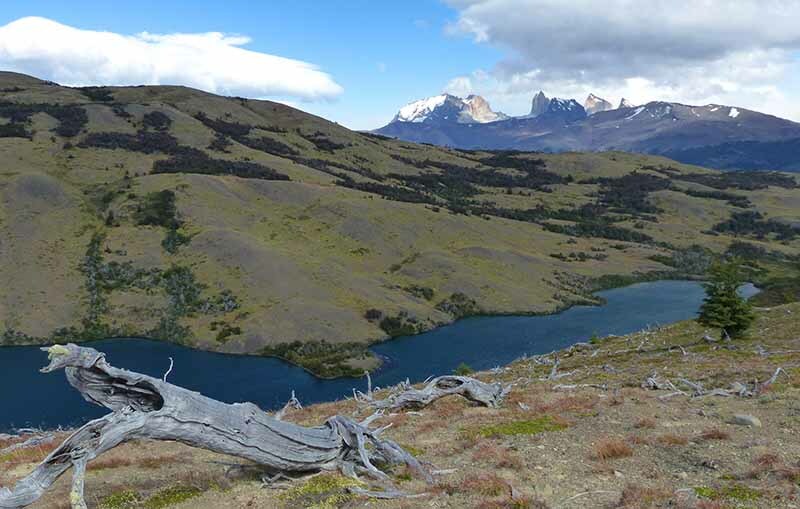 Get South was invited to explore this remote part of the Torres del Paine National Park in Chile. Puerto Varas: Combine a trendy very pretty village, stunning lake views with gorgeous nature parks, imposing volcanoes and a long range of (adventure) activities and you get a top tourist destination! Valparaiso: This is our favorite city in Chile, Argentina & Uruguay. It’s trendy, cultural, mysterious, arty, interesting and the different city & ocean views from Valparaiso’s hills are stupendous! Enjoy getting lost in in this maze of narrow streets, steep staircases & elevators and cozy squares! Our selection of popular destinations will pimp up your travel schedule significantly! Definitely add some if you have several weeks to explore Chile. Chiloé Island: Nobody regrets going to Chiloé Island, to Ancud & Castro. The people and their myths and traditions, the exquisite seafood, the biggest variety of potatoes on the planet, the Unesco World Heritage wooden churches, the many little islands and the splendid nature will make you want to stay! Puerto Río Tranquilo: Mother Nature blessed the Carretera Austral’s most touristy village. 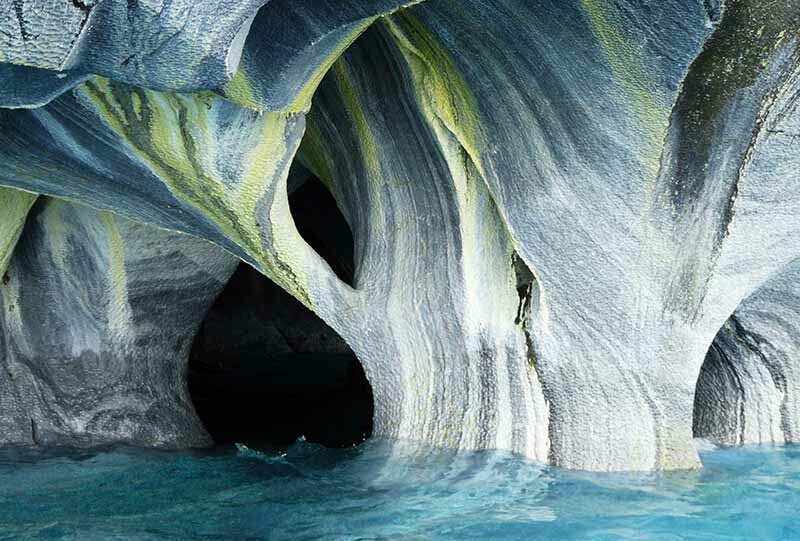 With the magnificent Marble Chapels and the mighty Exploradores & San Rafael glaciers it’s a destination many travelers have on their wish list! 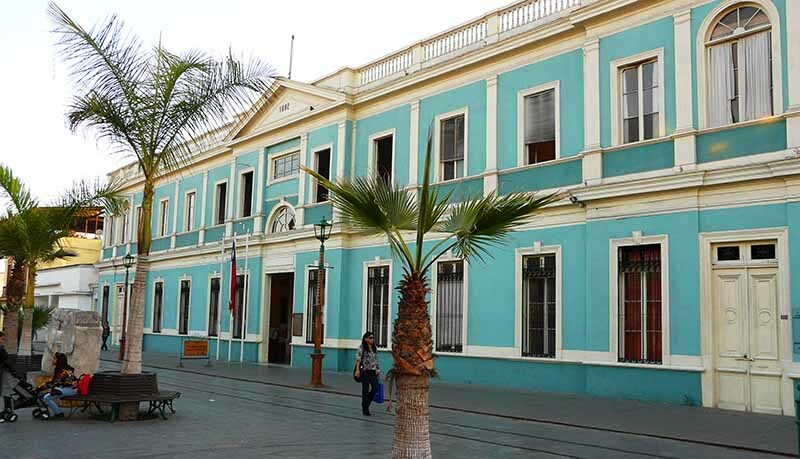 La Serena: A city with many faces! A summer paradise for beach bums, a lively city center with pretty colonial houses, great shopping and the hub to explore the nearby Elqui Valley with its world-class observatories to observe the universe! Iquique: Sunshine almost year round, excellent beaches, top surf breaks, great sandboarding spots and an attractive city center with extremely beautiful wooden houses and buildings! And Iquique is one of the best places in the world for paragliding, enjoy flying like a bird! Valdivia: Unfortunately often overlooked by foreign tourists but for Chileans it’s a well-known and popular destination. We love it for its pretty city center surrounded by rivers and waterways, the proximity of the ocean and the area’s many nature reserves. Valdivia is also perfect to pamper your taste buds! The seafood is divine and it’s Chile’s artisan beer capital! Yummy! Choosing for an alternative destination often means you’ll experience the place in a more intense way. You won’t find big herds of tourists here, except in Chile’s summer holiday period in February. Carretera Austral: It’s a 1.200 km long extremly beautiful road in Chilean Patagonia and it’s our favorite region in Chile, Argentina & Uruguay; a must go area if you have time enough! 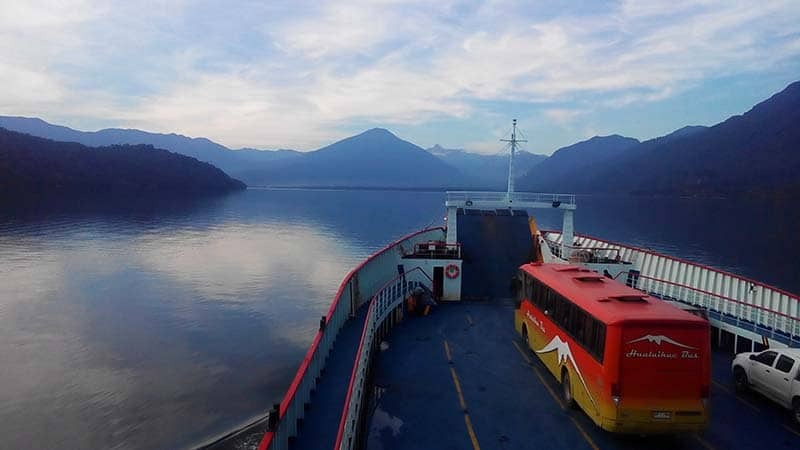 It is a breathtaking journey that takes you to remote villages (Hornopirén, Futaleufú, Puerto Raúl Marín Balmaceda, Puyuhuapi, Villa Cerro Castillo, Puerto Río Tranquilo, Villa O’Higgins, etc. ), unspoiled nature parks, adventurous trekking possibilities, thundering glaciers, crystal blue rivers & lakes, high mountain peaks, amazingly beautiful fjords, word-class fishing and many relaxing hot springs. Elqui Valley: Tourists tend to visit Elqui Valley on day trips from La Serena. We recommend you to spend and sleep a few days in the valley itself to really experience this magical place! Taste the locally made pisco, gaze for hours at the starry skies, sign up for one of the many outdoor activities and get into yoga, meditation and astrology! Pichilemu: Just 2 hours south of Santiago this beach destination really conquered our hearts! It can get busy & entertaining in summer and during long weekends, but it’s so calm and relaxed the rest of the year! Pichilemu is Chile’s most famous surfing spot with surf breaks for every level and the surrounding nature is so pretty to explore! Enjoy Pichilemu’s chilled vibe!